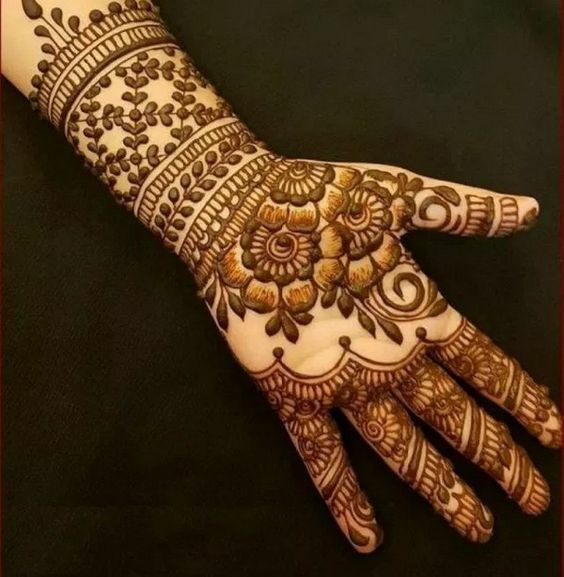 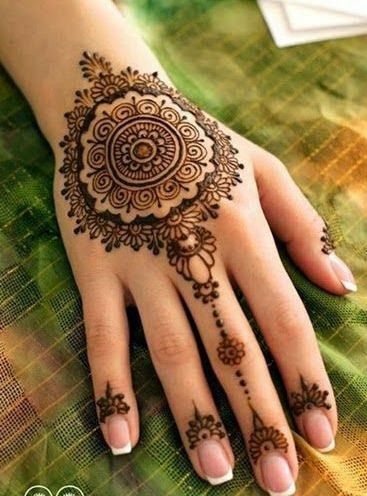 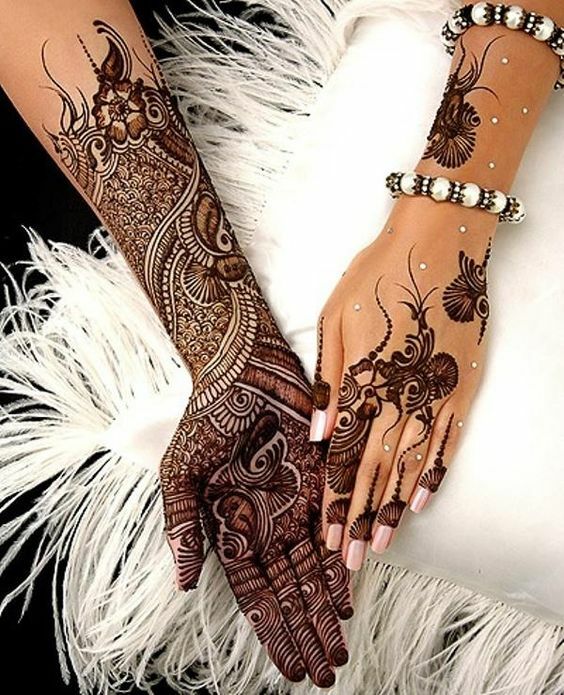 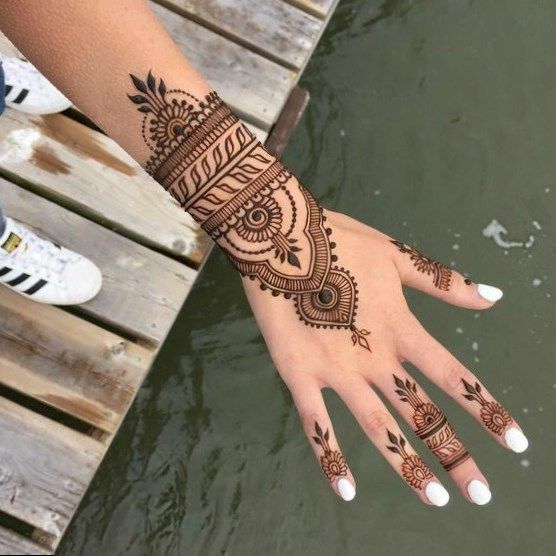 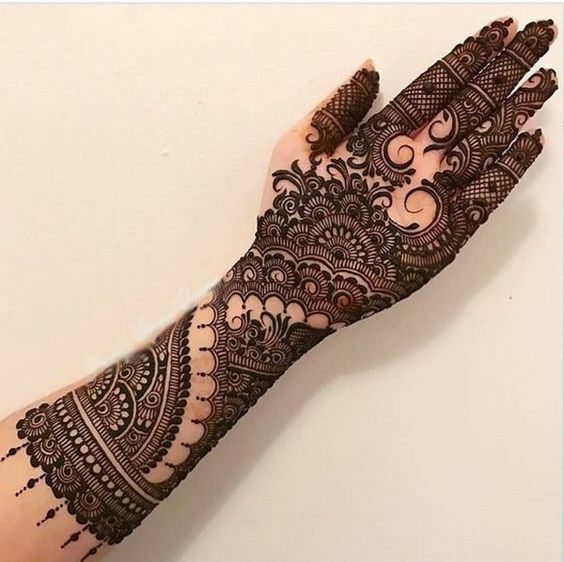 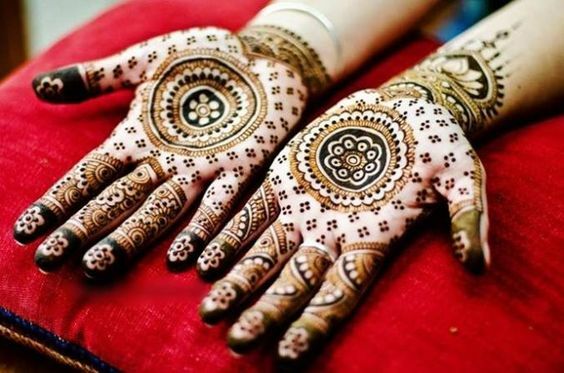 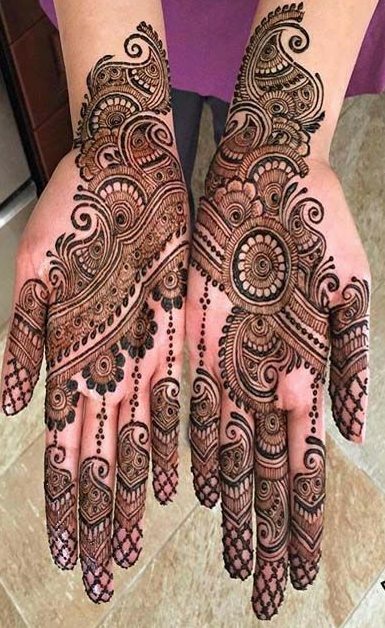 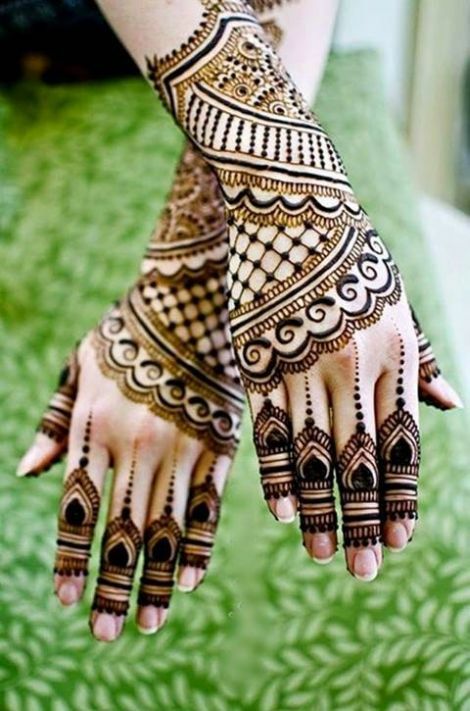 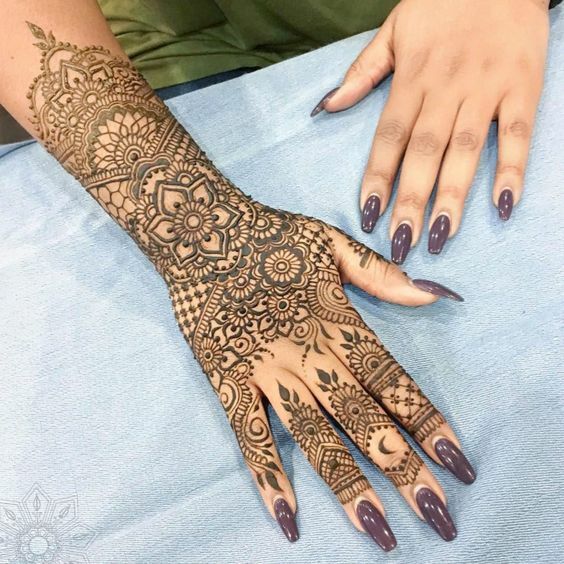 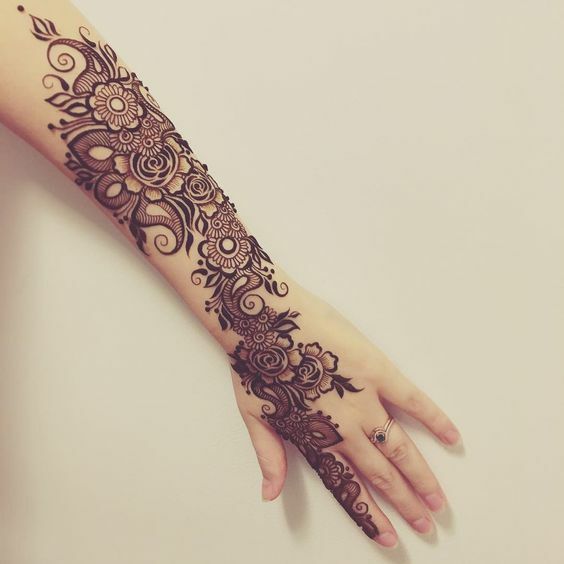 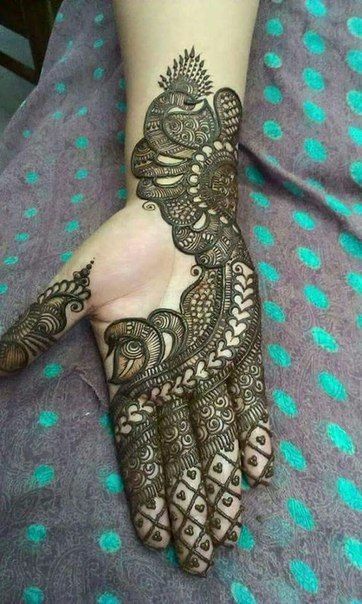 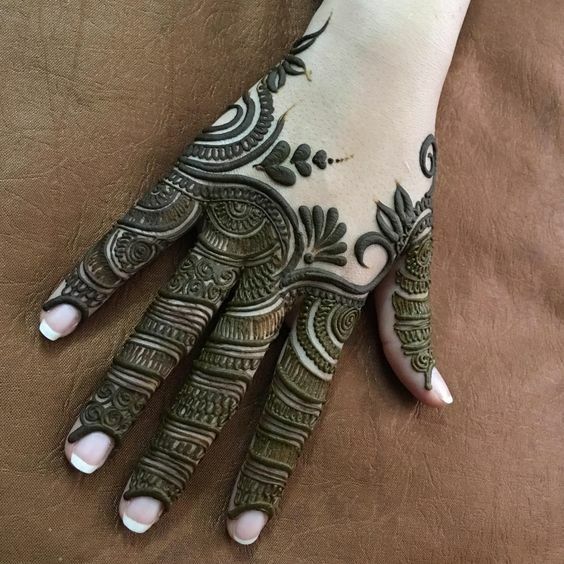 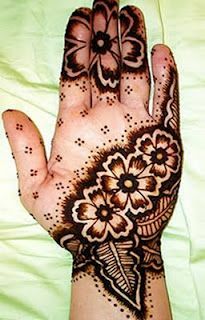 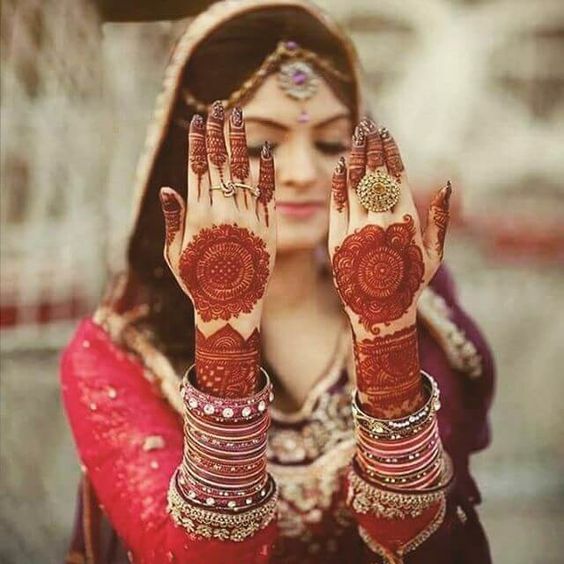 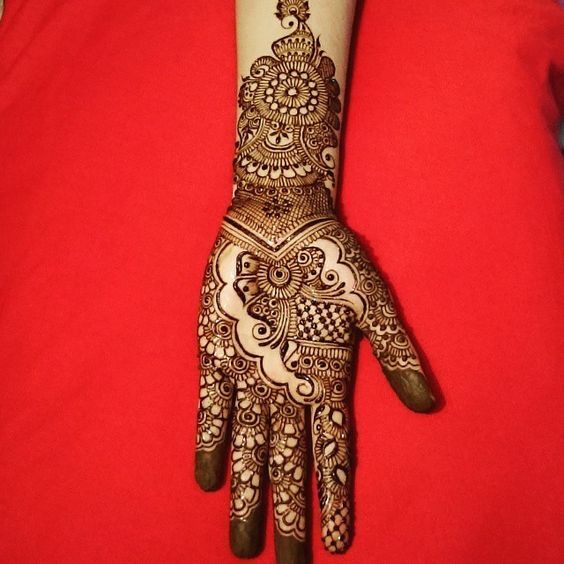 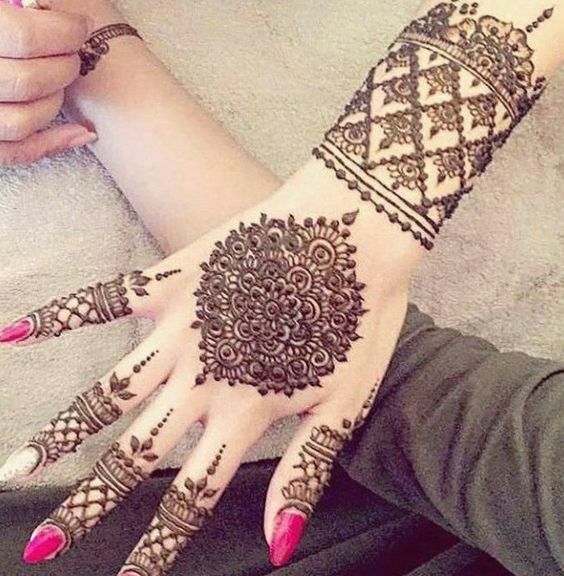 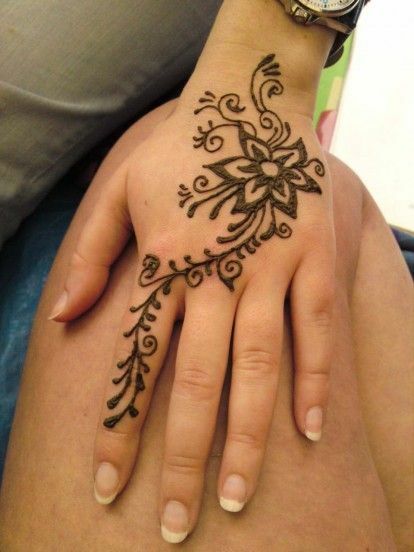 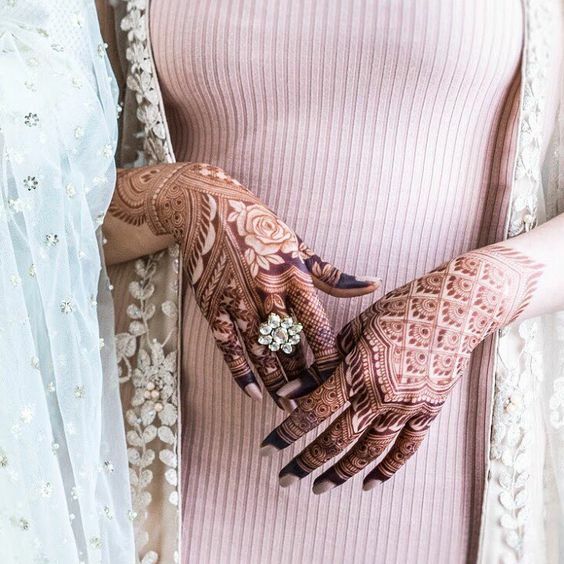 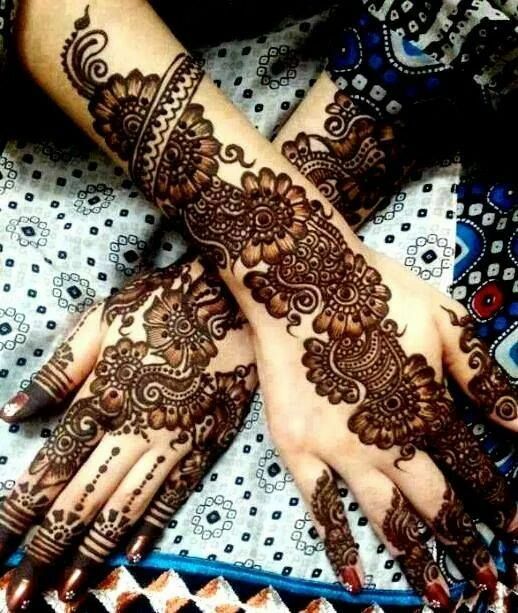 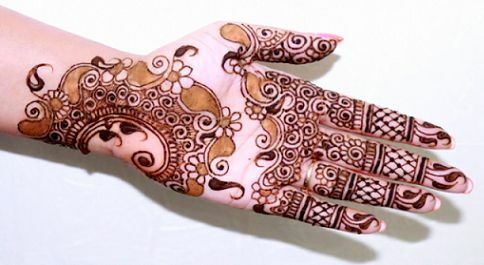 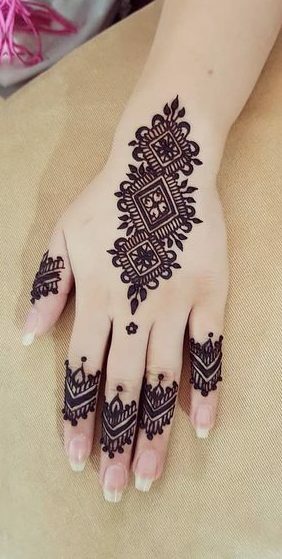 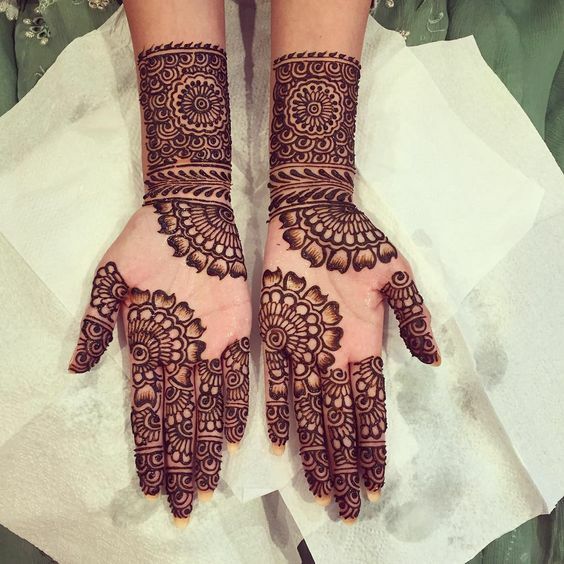 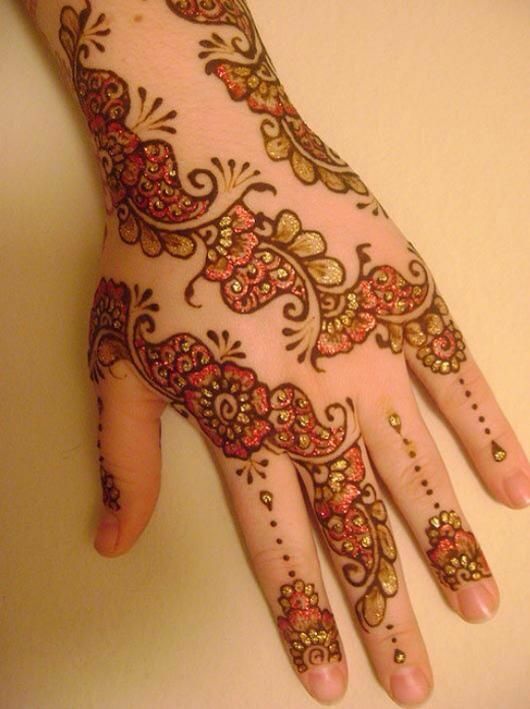 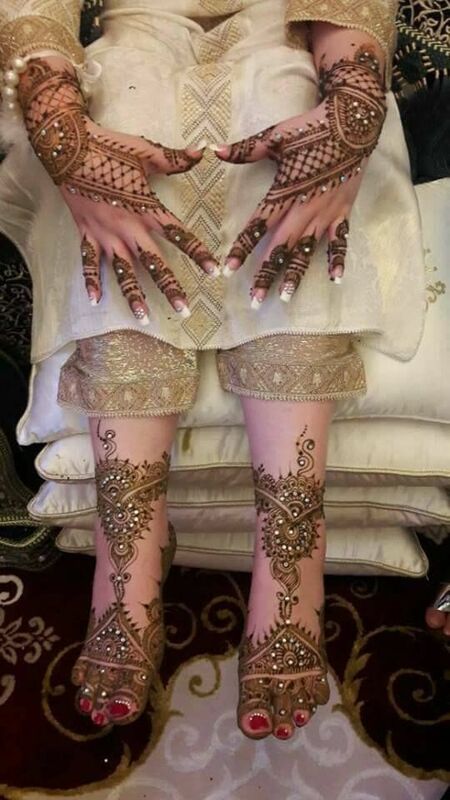 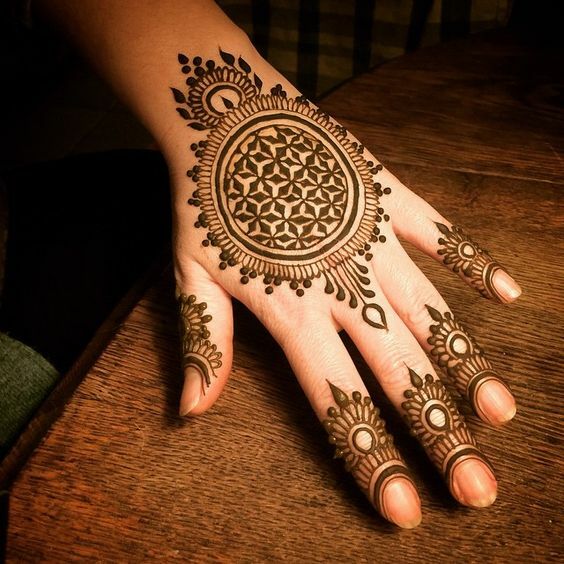 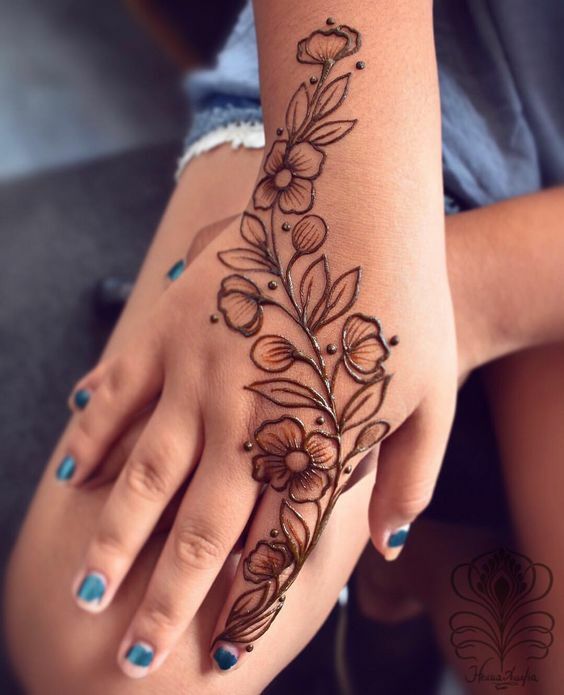 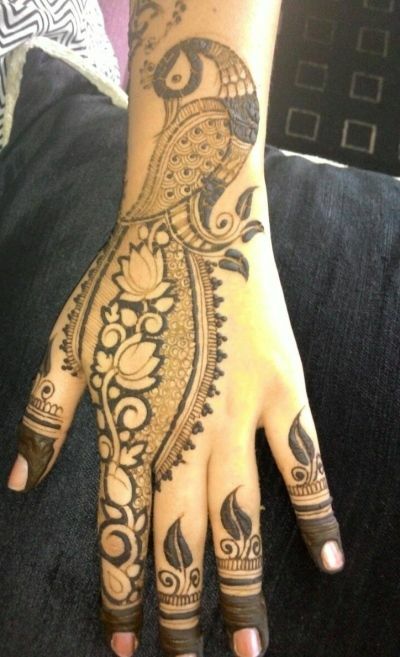 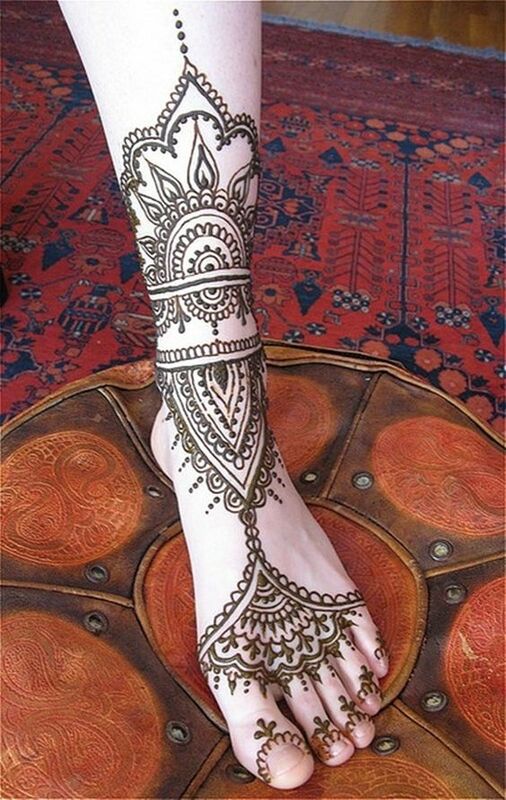 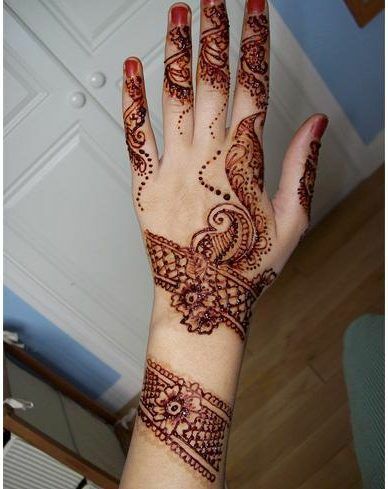 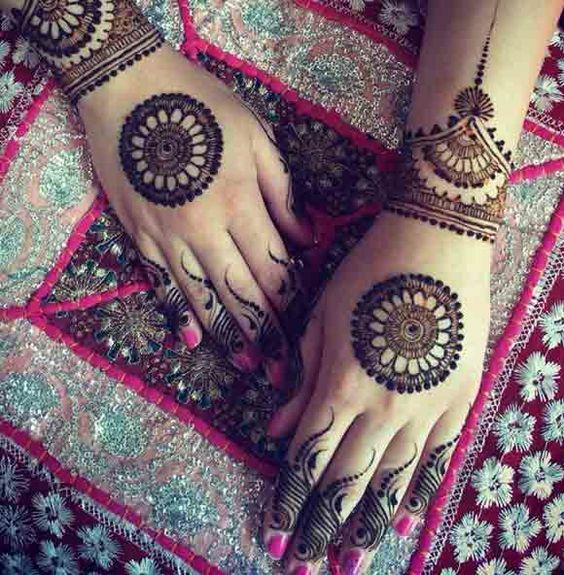 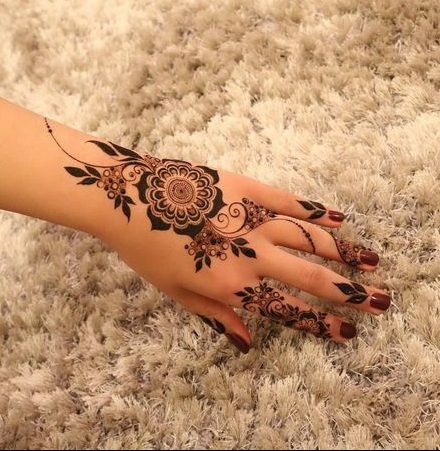 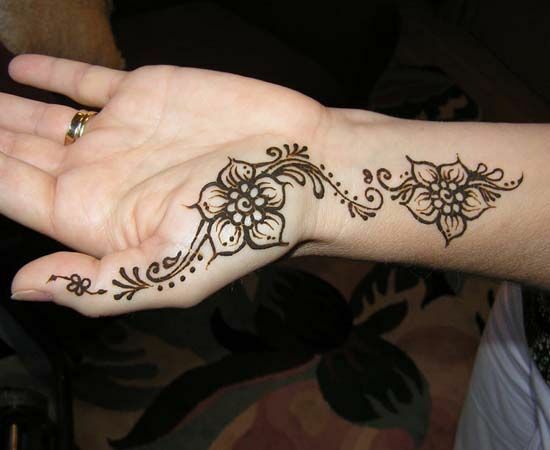 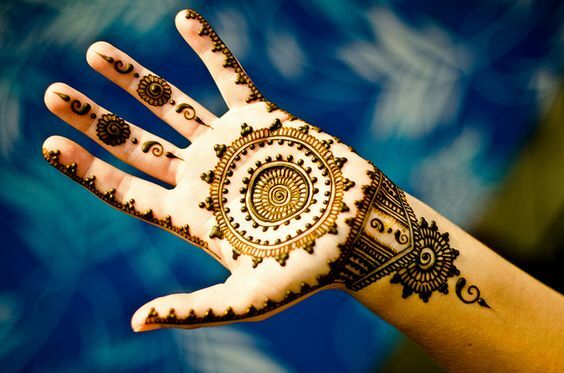 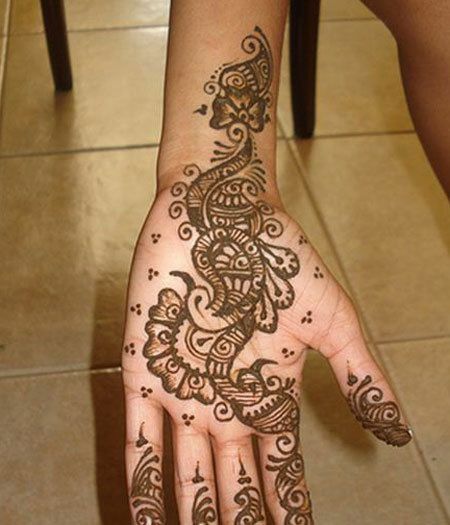 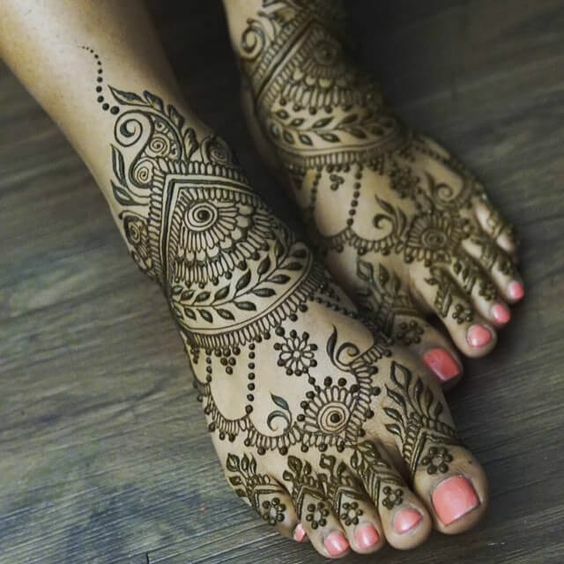 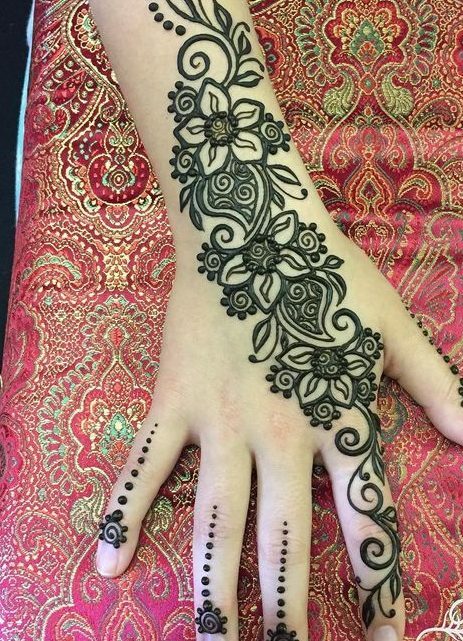 Brides who are not big fans of mehndi with huge patterns can have a look at his design. 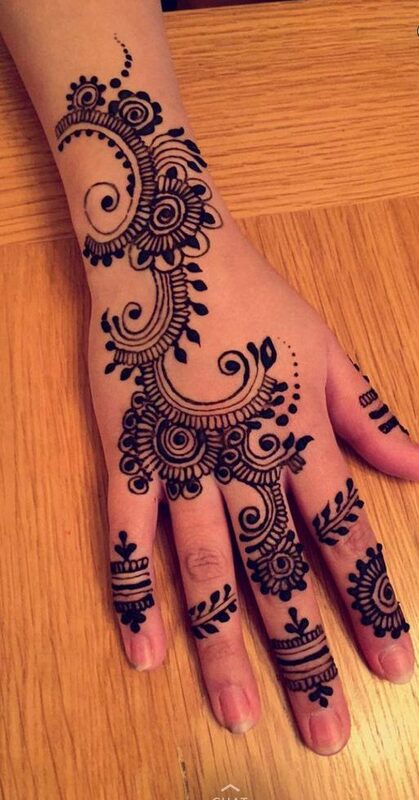 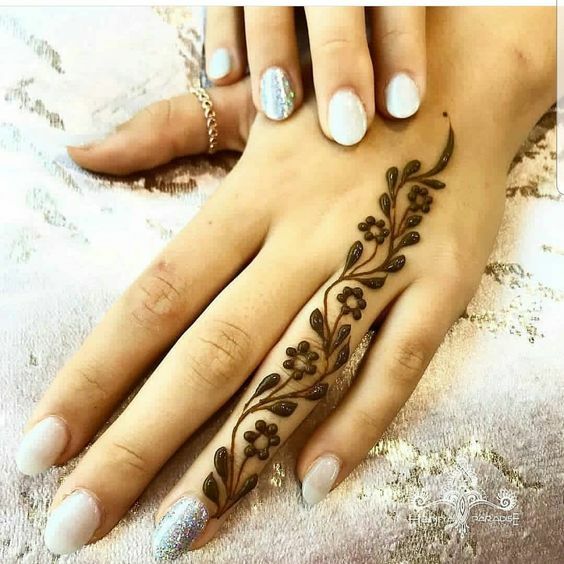 This design is super simple yet looks quite elegant which is sure to make you fall in love with itself. 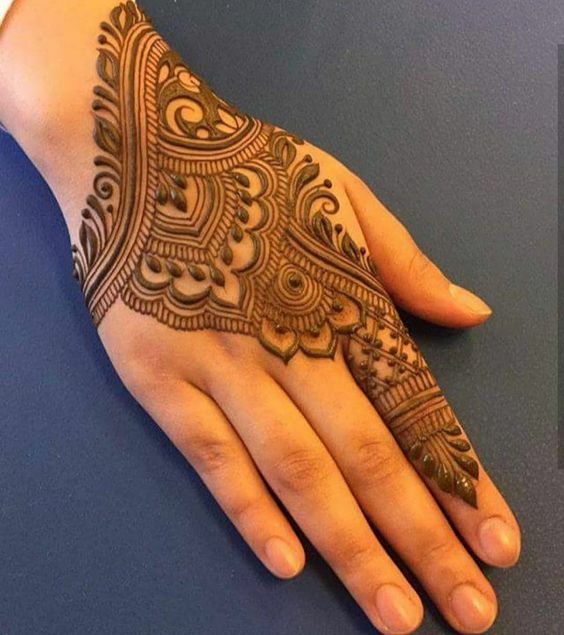 It has a circular pattern at the middle of the hand and then there’s some design on the fingers.